Step-By-Step Decode To Getting Jahnvi Kapoor-Like Braids! Talk about Dutch braid, French braid, half-up twists or floral updos, Jahnvi Kapoor has sported them all. 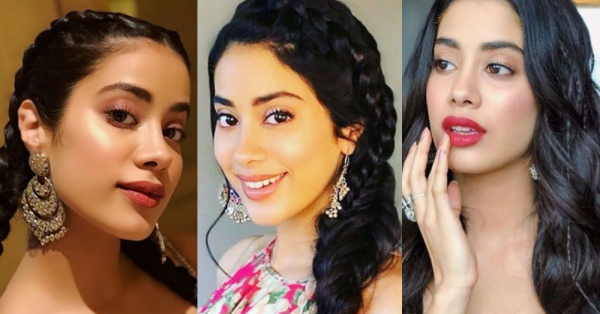 This fresh face of Bollywood has a very strong braid game and we simply adore them all. For those of you who want to know how to get your locks to look just as amazing as hers, here's a step-by-step guide on how to get the braids right. What follows are guides to three of her cutest braids which we love the most. Thanks to her hairstylists, Jahnvi's hair always looks amazing. Here's how to get this look! Take all your hair on one side and divide into 2 sections, bottom and top. Pin the top section away. Take the bottom section and tie it into a regular braid and pull it apart to make it voluminous. Now take the second section down. Twist your hair behind one section at a time from the crown to a little behind the ear. Then, fishtail braid the section and lay it on top of the regular braid. Tie the braids together in the end. Don't bother much if it comes out messy because messy is good when it comes to fishtail braids. 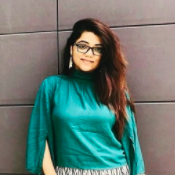 All you have to do to get this chic look is let your hair fall naturally or you can give them beach waves if you want them to look just like Jahnvi's. Now, take small sections of your hair and braid them from top to bottom. Secure them with a transparent elastic. You could either choose to keep your hair open, just like Jahnvi did, or you could also tie them up in a messy ponytail. If you know how to French braid, then this one will be super quick for you. The only difference between a French and a Dutch braid is that in French, you need to take alternate strands OVER the middle one, while in the Dutch version, you take the alternate strands from BENEATH the middle one. Start by parting your hair in the middle and extend the partition to the neck, while making sure that the partition is very neat. Now, start on the right side and all you need to do is start weaving a classic Dutch braid. Once done, weave another one on the left side. How to weave a Dutch braid? Take a section of your hair from the top of the right side of the partition and separate it into three sections. Now, take the right strand under the middle, such that the right becomes the middle and the vice-versa. Now, take the left strand under the middle. However, when you do this, add more hair from the root. From this step onwards, add more hair from the root every time you cross it beneath the middle. Repeat this step till the end of your hair length and then secure it with an elastic. Once done, repeat the entire process on the left side of the partition. Tell us how you like these tutorials and if you want us to do more, we would love to.